The 60 … What a beautiful time right? I do not know if many of you will have lived here live, or if you just know it is a result of music or movies, but those days changed the world, and the decor too. They were wild moments and once again … for decoration too! In the 50’s it was still a classic, from life itself to furniture. The 60 burst with freshness for all, music changes, changes of clothes, and of course our valued change of furniture and styles! Everything was much more liberal, rebellious, alternative … classic furniture went into production in plastic and incredibly vibrant colors. The couches, chairs and sofas were a change of prints and wallpapers were much more abstract fashion Designs! 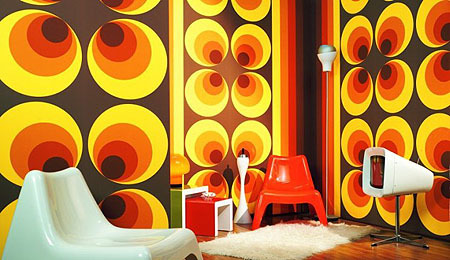 How many here have a decoration “sixties”? Come on, surely we are already a few! This entry was posted in Theme Decor and tagged Classic decorating style, decoration concept, retro decor. Bookmark the permalink.